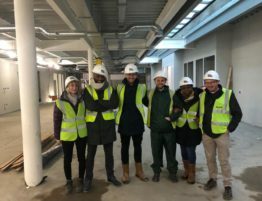 Barnet’s young people will soon see their OnSide Youth Zone take shape with building work set to begin on the £6.5million centre. 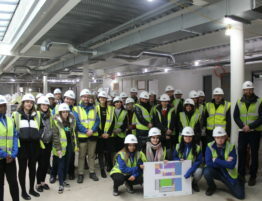 Excitement across the borough is growing for the facility, which will offer 20 activities every night for young people aged between eight and 19, and up to 25 for those with additional needs. 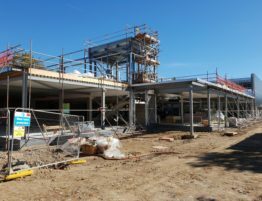 Barnet Council are putting £4.2million towards the construction costs, and national charity OnSide has raised the remaining £2.3million from charitable trusts, foundations and philanthropists. 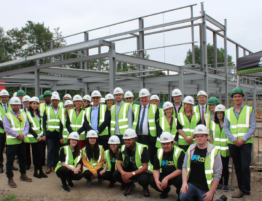 OnSide has developed a thriving network of Youth Zones across the North West and Midlands and Barnet’s facility will be among the first in the South of the country when it opens next year. Council Leader Richard Cornelius, Councillor Reuben Thompstone and Strategic Director of Children & Young People, Chris Munday, joined OnSide’s Project Director Jamie Masraff at the site on Montrose Playing Fields to celebrate this exciting landmark as diggers arrived to begin work. 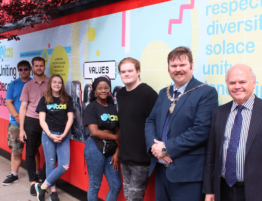 They were accompanied by a number of local young people who have together formed a development group for the Youth Zone. 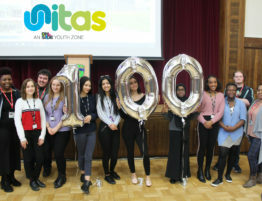 The development group have been involved from the start of the project, coming up with the name for the Youth Zone, branding it ‘Unitas’ after a borough-wide voting process; visiting other OnSide Youth Zones across the country; working with the facility’s architects to input their ideas of how Unitas should look; and much more. OnSide recently recruited Tony Lewis as the Youth Zone’s first employee with Tony taking up the post of Chief Executive. Tony is currently on placement at the Hive Youth Zone in Birkenhead before he returns to London where he will lead on recruiting the staff and volunteers as well as assisting with the ongoing revenue fund-raising campaign. 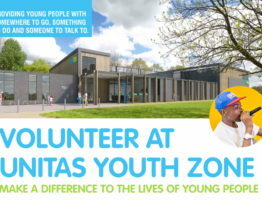 The Youth Zone will require £1million annual income to cover its running costs, largely through the support of the private sector, particularly local businesses and philanthropists. OnSide is committed to raising this in advance of opening and has already brought onboard a number of organisations as Founder Patrons, each committing at least £25,000 per year for at least three years. 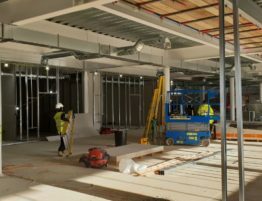 The Youth Zone will boast a wide variety of activities and facilities ranging from sports on a 3G kick pitch, in the four-court sports hall and on the giant climbing wall to enterprise and employability opportunities, arts, music, cooking and martial arts. There will also be inclusive activities for young people with additional needs. Young people will pay just £5 for an annual membership and then 50p per visit. 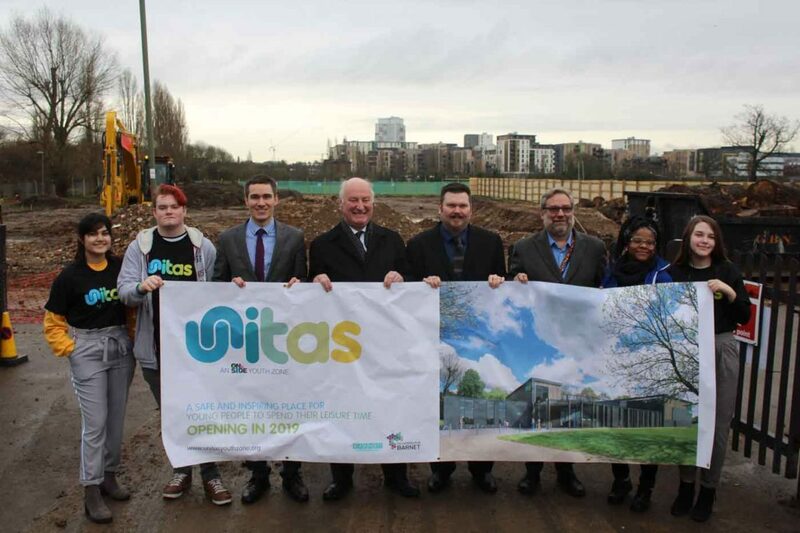 The Leader of Barnet Council, Councillor Richard Cornelius, said: “The Leader of Barnet Council, Councillor Richard Cornelius, said: “It is very exciting that building work is set to start on the new Youth Zone in Barnet.